Design and print CD and DVD labels on Windows or Mac. 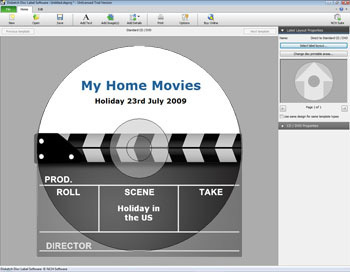 Use Disketch Label Maker to create CD and DVD labels as well as cover images for jewel cases. You can import your own artwork, or set a simple background color and organize artist information along with track lists. 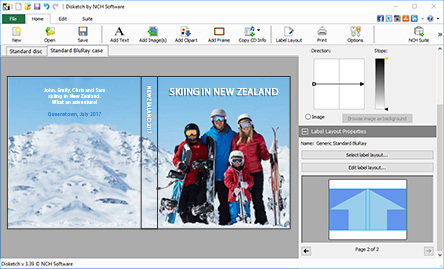 Create professional CD and DVD labels in a flash. Simply choose your label type (CD or DVD) and start adding your images and text. It's that easy. Get it Free. Disketch free disk labeling software is available for non-commercial use only. You can download the free version here. Make your discs stand out from the crowd! This user friendly CD label maker lets you put your own personal touch on your CDs and DVDs.